Dr. Andy Hines is in the UH College of Technology Department of Human Development and Consumer Science. A seasoned consultant, and organizational futurist, Dr. Hines brings a wealth of diverse experience including a role as Managing Director of Social Technologies/Innovaro, and as a partner with Coates & Jarratt, Inc., a think tank and consulting firm that specialized in the study of the future. In addition, he served as Futurist and Senior Ideation Leader at the Dow Chemical Company, using futures tools and knowledge to turn ideas into new business opportunities. Before that, Hines established and ran the Global Trends Program for the Kellogg Company. Dr. Hines completed his dissertation on "The Role of an Organizational Futurist in Integrating Foresight into Organizations" in 2012. He has authored five books: Teaching about the Future: The Basics of Foresight Education (Palgrave Macmillan, 2012); ConsumerShift: How Changing Values Are Reshaping the Consumer Landscape (No Limits Publishing, 2011); Thinking About the Future: Guidelines for Strategic Foresight (Social Technologies, 2007); 2025: Science and Technology Reshapes US and Global Society (Oak Hill, 1997); and Managing Your Future as an Association (ASAE, 1994). In addition, he has authored dozens of articles, speeches, and workshops, earning the 2003 Emerald Literati Awards' Outstanding Paper accolade for best article published in Foresight for "An Audit for Organizational Futurists" and the 2008 award for "Scenarios: The State of the Art." Hines has appeared on several radio and television programs, PBS Houston, KRIV-26 News, and the CBS "Early Show". He also co-founded and served as Chair of the Association of Professional Futurists. In 2013, Dr. Bishop retired as an Associate Professor of Strategic Foresight and Director of the graduate program in Foresight at the University of Houston. He has published two books on the subject: Thinking about the Future: Guidelines for Strategic Foresight (2007) and Teaching about the Future: The Basics of Foresight Education (2012), both with co-author Andy Hines. He delivers keynote addresses and conducts seminars on the future for business, government and not-for-profit organizations. He also facilitates groups in developing scenarios, visions and strategic plans for the future. 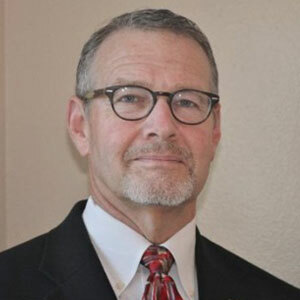 Dr. Bishop's clients include IBM, the NASA Johnson Space Center, Nestle USA, Tetra Pak, the Shell Pipeline Corporation, the Defense and Central Intelligence Agencies, the Lawrence Livermore National Laboratory, the W.K. Kellogg Foundation, the Texas Department of Transportation, the California Environmental Protection Agency, and the Center for Houston's Future. Dr. Bishop is a founding Board member of the Association of Professional Futurists and President of his own firm, Strategic Foresight and Development that offers training and facilitation to businesses and government agencies. 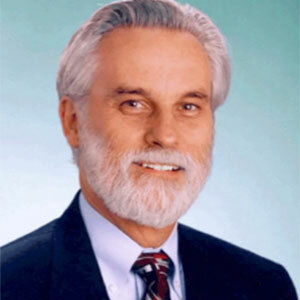 Dr. Bishop came to the University of Houston in 2005, having taught futures studies at the Clear Lake campus since 1982. Dr. Bishop started teaching at Georgia Southern College in 1973 where he specialized in social problems and political sociology. He received his doctoral degree in sociology from Michigan State University in 1974. Dr. Bishop received a bachelor's degree in philosophy from St. Louis University where he also studied mathematics and physics. He grew up in St. Louis, Missouri where he was a member of the Society of Jesus (Jesuits) for seven years. Dr. Bishop is married with two children and two grandchildren. Terry Grim is a partner with Foresight Alliance, an innovative consulting firm that applies foresight, strategy, and research to build organizations' resilience in today's increasingly complex and fast-changing environment. Terry's years of experience include senior positions at IBM as a member of the space program software development team, an international management assignment, and a headquarters position in Corporate Strategy. After IBM, Terry became a consultant in foresight and strategy with Social Technologies and an adjunct professor for the masters program in Studies of the Future at the University of Houston. 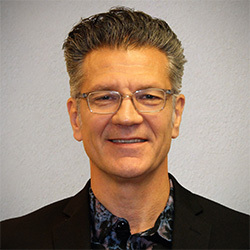 Terry is the author of the Foresight Maturity Model (FMM), a results-oriented approach to evaluating an organization's foresight capacities based on best practices in the field. The Foresight Maturity Model was published in the Journal of Future Studies and has been presented in many venues including the World Future Society and Proteus, the US intelligence community conference. It is currently in use by companies and practitioners in the field. Terry has a BS in Computer Science from University of Florida and an MS in Studies of the Future from the University of Houston, and an MA in Industrial-Organizational Psychology, from the University of Houston Clear Lake. 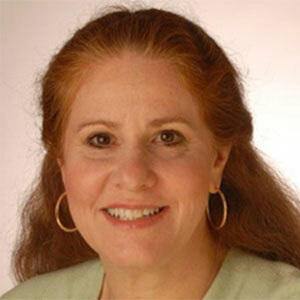 She has been certified as a project manager by IBM and the Project Management Institute (PMI). W. (Jim) Breaux, APF Director, is a degreed, registered professional engineer, holds a Masters in Foresight, has served as an operations executive in the pipeline consulting industry and is an accomplished project and engineering manager. Jim lectures at the University of Houston's College of Technology on the Futures of Energy and Environment and has published works on public transportation, climate change, and alternative futures. He is a regular presenter on futures topics as varied as integral futures, emergency preparedness, adult protective services, and higher education. Morgan Kauffman received a BS in geology and a MS in strategic foresight from the University of Houston, with work focusing on energy and environmental issues and research on climate change policy. Since earning his degrees, he has had experience in international relations, technology forecasting, and public policy analysis. 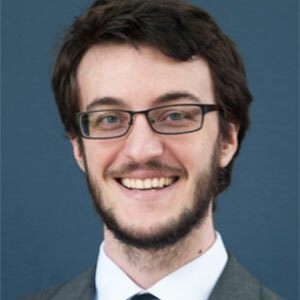 He is currently the director of the Interlock Project, a research project focused on cataloguing and analyzing the interconnections of twelve major policy problems facing the United States.